There are not many options given to you when you're diagnosed with cancer. The big challenge is how you tackle life after the diagnosis. That's why when Denise Neish learned she had breast cancer a few years ago, she made the decision to stay healthy and live her life full of positive energy. 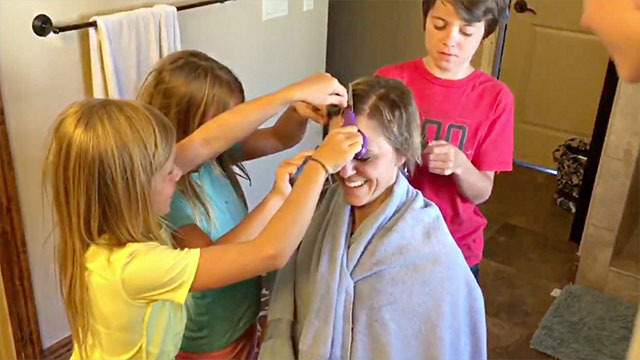 Knowing that it can be scary for her kids to see their mom go through chemo therapy, she decided to get her children and husband Branden together for a head shaving party. It is a chance to turn a tough time into a beautiful bonding moment. You can follow her journey on her website.